The following design document was produced by Allure Security and sponsored by the Defense Advanced Research Projects Agency (DARPA). 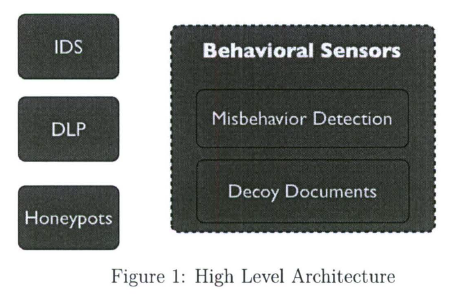 It describes a system for preventing leaks by seeding believable disinformation in military information systems to help identify individuals attempting to access and disseminate classified information. For more information on the document, see Wired’s article on the subject: Feds Look to Fight Leaks With ‘Fog of Disinformation’. This is the design documents for the Allure Defender system. This document is a high level design and API of the components that make up the Allure Defender system. We outline all the high-level pieces and then the individual components, their behaviors, expected input/outputs, and relationships. We will discuss specific implementation and design choices and languages and libraries that will be used. In addition we will cover specific user cases and illustrate some running examples. Last we refer to a running system which implements many of the components we cover in the document. The goal of the document is for a designer to create a working system and or verify a working system conforms to the specifications outlined in the document. 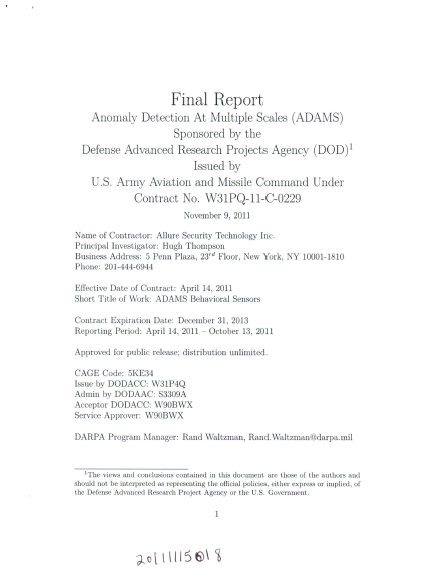 • Enticing Content (henceforth referred to as EC) that will attract t he adversary to the DD (e.g., if they are using a search function) without raising suspicion, will support the presence of the EI in the document, and will allow the DDs to “fit in” with the rest of the environment on which t hey have been deployed. DDs may be deployed on servers, databases, user desktops and laptop, mobile devices, honeypots, or other locations. It is desirable t hat all of these seeding techniques be supported. The EC may be generated based on templates, synthesized from private sources (e.g., by mining existing documents at the directory /account/system/server to be seeded), synthesized from public sources (e.g., documents acquired through search engines) based on high-level templates, or synthesized from public sources using information mined from existing documents at the directory/account/system/server to be seeded. Any combination of these techniques may be used to generate DDs, and a specific DD may be t he result of several such techniques being used simultaneously. • Data Leakage Prevention (DLP) subsystems, which may operate at various points in the system, e.g. , network, filesystem, memory, and others. The DLP may be a priori aware of the identity and location of the DDs, or it may be able to identify them on the fly via the “mark “. The design of the architecture (see Figure 1) attempts to cleanly divide the functionality of the different subsystems into self-managing components allowing maximum flexibility of the system to adopt to changes while allowing all the components to seamlessly work together. 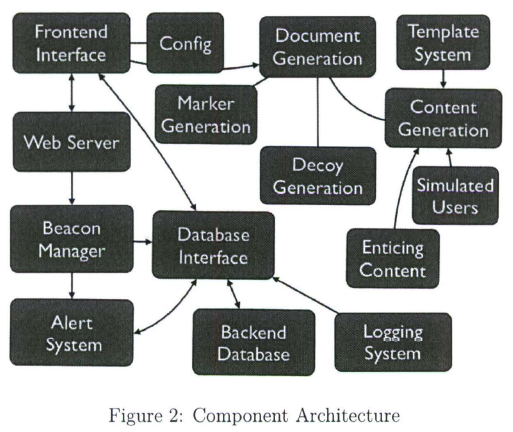 The design reflects the facts that (a) documents may be requested via different interfaces (e.g., webserver front-end, client-side logic interacting over the network, client-side application with generation library, and possibly others); (b) the documents may contain a combination of enticing information, marks and beacons, based on the desired configuration, (c) the corresponding detection capabilities can vary (and should be extensible so that we can add further capabilities as future research directs), and (d) the documents, and specifically the enticing content, may be generated through a variety of means.